Like any other technology in the world that proves to be profitable, biometric technology has made major strides recently due to programmers, inventors and developers realizing that there is a lot of money to be made. Normally, our biometric scanners rely on fingerprints and sometimes eye scanners to verify somebody’s identity. It wasn’t until recently that these major identities seemed to be the endgame for biometric technology. And other methods of verifying were far off into the future. However, it is quite apparent now that anything is possible biometric technology. Even things that we cannot think of right now will be happening in the future. Your brain is a very powerful organ that is constantly working 24/7. It is no surprise that biometric developers are now focusing on brain signals which are called “electroencephalogram signals.” Researchers have come to the conclusion that people have distinct brain signals. That could be used in security situations for verification of a person’s identity. The new biometric technologies that are coming out, such as using brain signals are much more promising way of identifying verifying somebody. However, these are still in the very early development stages, and it will be a while before they become commercial. Using brain signals right now comes with a low success rate and other problems. This method is better for antifraud and will be more secure because brain signals are much harder to copy than say somebody’s fingerprint. 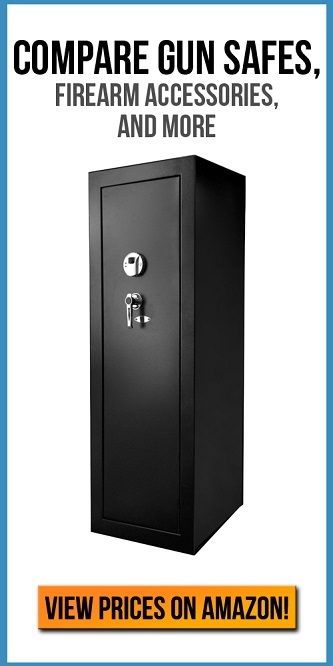 Imagine opening your safe with biometric technology just by looking at it and having it read your brain signals and fling open. It sounds very exciting and can allow access to your guns within your biometric safe very easily. Using your heart to unlock something seems less far-fetched than your brain because right now you can probably hear your heartbeat if you listen closely enough. Using your heart to unlock something is called electrocardiography and is in use in the medical field by many other machines and doctors today. People are unique, and everybody has her own heart rate and heartbeat. This means that fraud is a very difficult task to pull off and when trying to steal somebody’s heart rate for identity theft. Recently there has been a call by former Vice Admiral of the U.S. Navy named John Michael McConnell. In his keynote speech, he calls on the act of making people identify themselves using biometric technology in order to access public networks. He claims doing so will prevent people from using public networks for malicious acts. People will not be able to become part of a botnet network that is potentially being used by a hacker. This has happened in the past and has created some problems for innocent people that were just trying to browse the web. Of course, this can be very catastrophic and could result in the Governments having even more access to everyday people’s lives. It is highly doubtful that this will become part of the American law. This proposed solution to hackers and malicious acts might even violate the privacy acts within the United States. And there is no doubt that Americans will go very far to ensure that they are treated equally and that the laws will protect them.